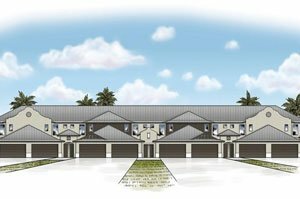 Montserrat at UTC is a small, gated community composed of 32 two-story townhouses the preselling for which began in January 2018 as an exciting addition to choices of Sarasota homes for sale. This exclusive and intimate enclave is located on 5603 North Honore Avenue. It is walking distance to the Mall at the University Town Center (UTC) which sprawls east of this community. The Montserrat complex features four residential buildings set with eight units each. Aligned in pairs facing each other, these buildings are flanked by ponds and lush landscaping. 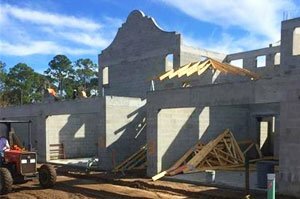 All of Montserrat’s residential structures come in engineer-designed, steel-reinforced concrete block exterior construction. The homes for sale in Montserrat at UTC boast of energy-saving features certified under the National Green Building Standards (NGBS). Six key areas in design and construction are covered by this certification of high performance. These NGBS benchmarks include site design, resource efficiency, indoor environmental quality, water efficiency, energy efficiency, and building operation and maintenance. Priced in the $400s, a Montserrat townhouse is designed with a total floor area of 2,110 square feet, featuring two large master suites—one on the main floor and the other laid out upstairs. A third bedroom is set upstairs as well and includes its own full bath. Provided for each home are high-end finishes, all-wood cabinetry, granite countertops, soaring ceilings, and upgraded GE Energy-Star appliances. These residences likewise flaunt two-car garages and gated courtyards with a 6-foot wall for privacy. 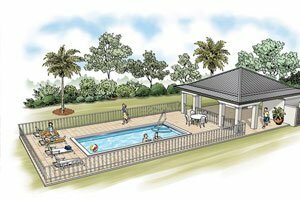 Montserrat homes for sale are bundled with plenty of in-house amenities including a community pool and cabana. The streets and sidewalks of Montserrat are provided with LED lighting. The community’s electrical utilities are underground, so there are no unsightly overhead power lines. Pet-friendly, this neighborhood has no CDD fees and offers maintenance-free living to its residents. Moreover, Montserrat is in a no-flood zone, and thus, its residents are not saddled with flood insurance cost. Montserrat at UTC allows an ideal “walkable city lifestyle” but without the crowds and din of an inner-city setting. The residents of this townhouse complex can bike or walk to the trendy shops and upscale at the Mall at University Town center. Also within easy reach are the facilities of the Nathan Benderson Park which hosts a wide variety of water-based events and competitions, such as rowing and dragon boat racing. Montserrat homes for sale likewise draw some market lift from their proximity to several local golf and country clubs, such as The Groves, The Highlands, and The Meadows. Other life and leisure facilities are as easily accessible with a short drive to the Main Street of Lakewood Ranch, downtown Sarasota and St. Armands. An extended drive westward opens access to the Gulf Coast beaches including those in Siesta Key which are vaunted as amongst the world’s best. A short trip west on the nearby University Parkway likewise leads to the Sarasota Bradenton International Airport. Significantly, the airport’s adjoining areas have recently been attracting new enterprises which have helped creating jobs and business opportunities, local economic gains that bodes well too for Montserrat homes for sale. Below are the current real estate listings available at Montserrat at UTC.